We just got over Easter. The much needed long weekend break before the summer sets it. 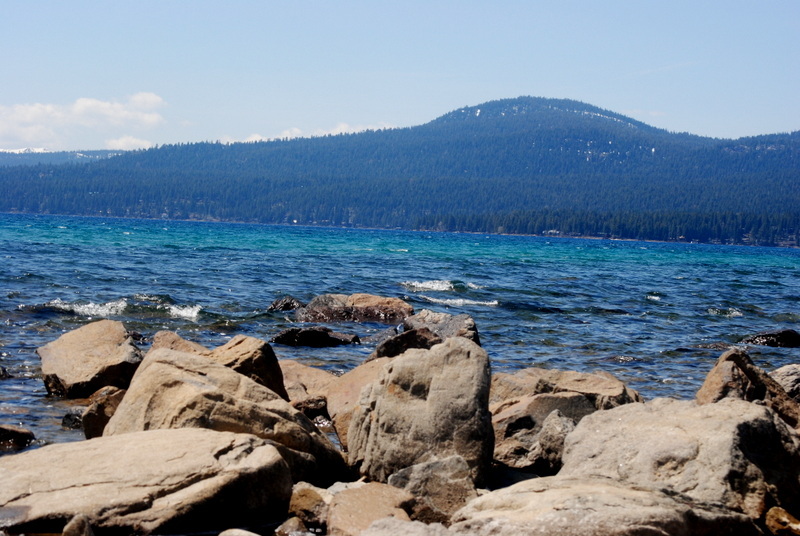 We took a vacation to the shores of Lake Tahoe. Stunning Lake Tahoe is the largest alpine lake in North America, famous for its clarity, cobalt-blue water, and surrounding snow capped peaks. Straddling the state line between California and Nevada, it lies 6,225 feet above sea level in the Sierra Nevada. 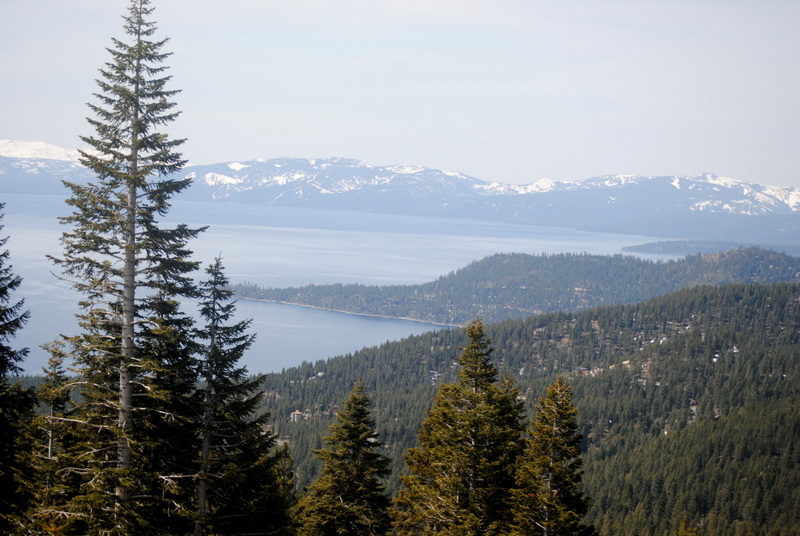 One of the most scenic areas in the US, Lake Tahoe is the perfect spot for outdoor recreation. We took a hike through the Inclined plain village and then a picnic on the shores of the Crystal Bay. We finished it off with a couple of night outs at Reno casinos. What a lovely vacation. The name achari paneer comes from achaar or Indian pickle . This pickle is different from what we know as pickle in the US. Achaar, are made from certain individual varieties of vegetables and fruits that are chopped into small pieces and cooked in edible oils like sesame oil or brine with many different Indian spices like asafoetida, red chili powder, turmeric, fenugreek, and plenty of salt. Some regions also specialize in pickling meats and fish. Vegetables can also be combined in pickles to make mixed vegetable pickle. Some varieties of fruits and vegetables are small enough to be used whole. 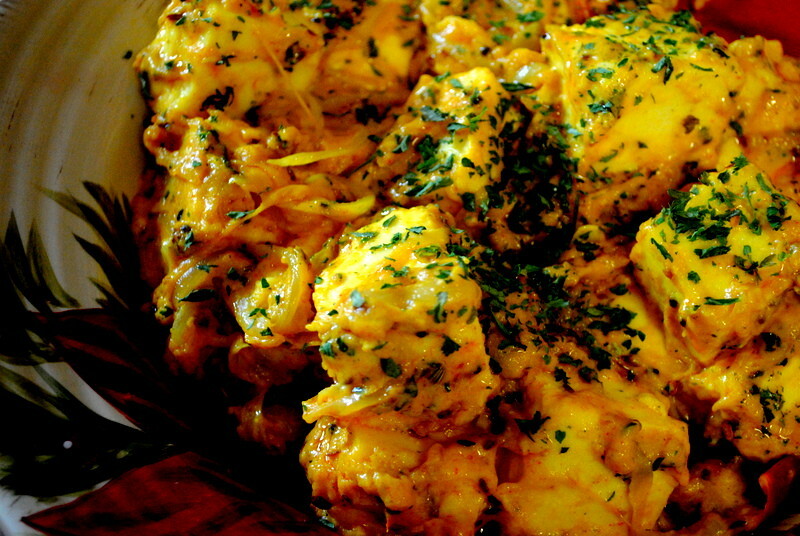 This particular dish is cooked using the spices of achaar and the best thing about this dish is the vibrant taste that comes with the delicate balance of whole spices. The key ingredient here is a mix of five different whole spice, often known as panch phoron in bengali (five tempering spices) and asafoetida. The spice mix is pungent and resonant with bold flavors from fenugreek (methi dana), mustard (raai) & nigella(kalonji) seeds, the sweetness of fennel seeds and the nuttiness of cumin seeds and unlike other rubs these spices are not hot, rather they are pungent, and have a very strong aroma.In pickles, they ferment over a period of time . In curries, they lend a really unique and piquant and flavourful taste. Paneer works wonderfully with these flavour and lends a bold taste to the dish, but you can also use lamb, chicken or shrimp. 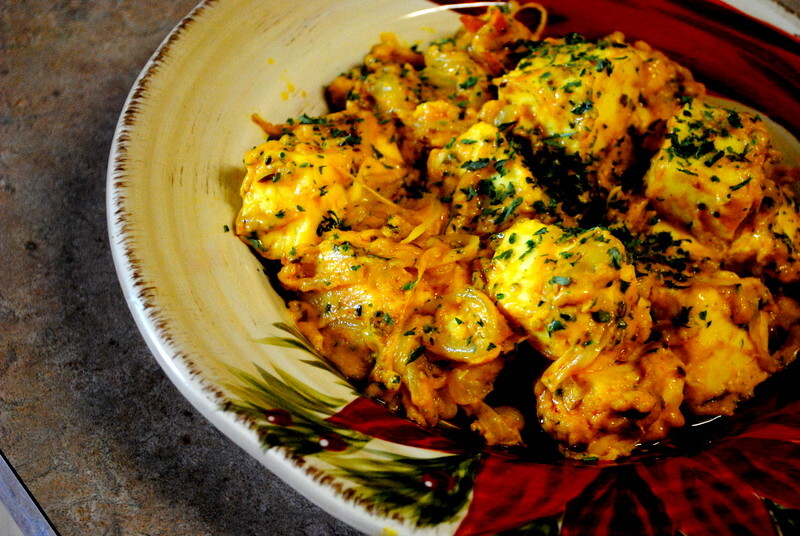 Since the dish is dry it can be used in wraps or eaten as appetizers. Panch Phoron Mix ( should be available in any Indian Grocery) Incase you wish to make the spice mix at home the list of spices are mentioned below. Heat the oil in a deep wok or kadhai. Once the oil is hot add the seed mixture or the Panch phoron. Next add the asafoetida powder. When they crackle, add the onion and saute till it turns translucent. Add the paneer. turmeric and chilly powder along with the salt and stir from time to time..
Next add the flour and yogurt and mix well. Bring it to a simmer and garish with coriander leave and serve with rotis. If it is sour, add 1 tsp of milk just before you serve. Next Post Eggplant Curry and some random facts..